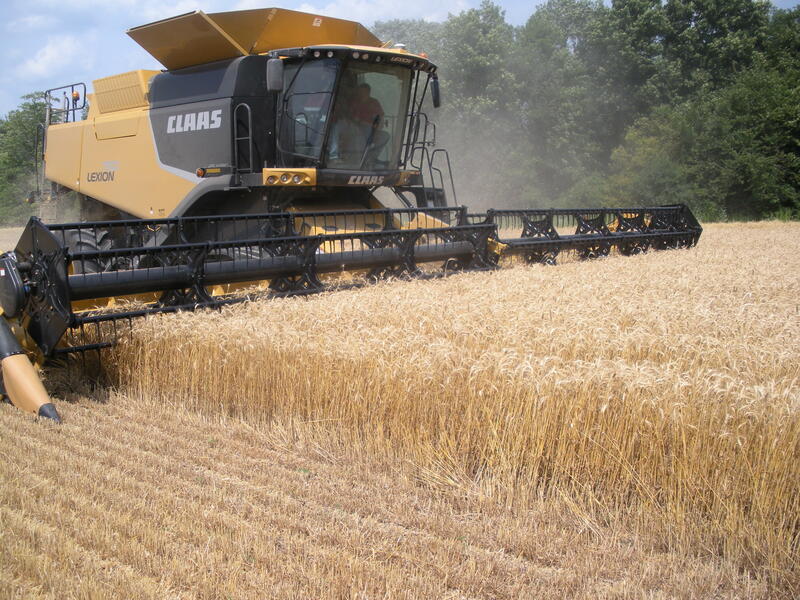 The value of wheat exceeded $50M In NY in 2013, in part because of a record 68 bushel/acre State average yield. Wheat has been a major crop in NY since the late 18th century. In fact, NY along with Pennsylvania and Ohio were the major wheat producing states in the USA in 1850. The acreage of wheat in NY declined steadily in the late 1800s and early 1900s while increasing in the Plains States. By 1915, Kansas, North Dakota, Minnesota, Nebraska, and South Dakota were the leading wheat producing states. Wheat acreage in these states and the USA, however, has decreased by almost 25% over the last 20 years. In contrast, wheat acreage in NY has remained relatively stable over the same period. Let’s examine the acreage and value of wheat and two other small grains, oats and barley, along with dry beans in NY over the last 25 years to see why the acreage of NY wheat has remained relatively stable. Annual wheat acreage in NY over 5-year periods during the last 25 years has hovered between ~110,000 and ~135,000 (Fig.1). In contrast, annual oat acreage has plummeted from ~125,000 during the 1989-1993 period to ~40,000 in the 2009-2013 period. Likewise, annual dry bean acreage in NY has plummeted from ~35,000 to ~10,000 during the past 25 years. Fig.1. 5-year averages of annual dry bean, wheat, oat, and barley acres planted in NY over the last 25 years. Certainly, a major reason for the ~70% decrease in both oat and dry bean acreage over the last 25 years has been the adoption of soybean by NY crop producers. All three crops are summer annuals so oat and dry beans along with other summer annuals, including potatoes, processed vegetables, and some fresh market vegetables, have ceded acreage to soybean. Wheat on the other hand, is a winter annual and can fit into the rotation after soybean harvest, if fall conditions are conducive for soybean harvest by October 25th. Another reason for the stability of wheat acreage over the last 25 years is that wheat yields have continued to increase, whereas oat, dry bean, and barely yields have stagnated during this period (Fig.2). The average annual wheat yield has increased from 49 bushels/acre during 1989-1993 to 64 bushels/acre during 2009-2013. In contrast, annual oat yield has fluctuated between 61 and 65 bushels/acre and barley yield has remained stagnant at ~50 bushels/acre during the last 25 years. Wheat yield has increased by 30% over the last 25 years because leading growers on high-yielding soils continue to grow the crop, these growers have adopted more intensive management systems, and Cornell still has an active wheat breeding program. Fig.2. 5-year averages of annual dry bean, wheat, oat, and barley yields in NY over the last 25 years (all units are in bushels/acre except for dry beans, which are reported in 1,000 weights/10). In contrast, leading growers on high-yielding soils have abandoned oats, barley, and dry beans for soybean, growers manage the three crops similarly in 2014 to how they managed them in 1989, and Cornell no longer has an active oat and barley breeding program. Barley yields, however, may increase in the next 10-year period, given the mandate by NY State for the use of 90% locally-sourced ingredients by 2024, if growers wish to receive a Farm Brewery License. Wheat straw adds significant profit to wheat growers in NY. The stable wheat acreage, coupled with the 30% yield increase and the more than doubling of wheat market prices over the last 25 years (~$3.10 during 1989-1993 to ~$6.60/bushel during 2009-2013), has increased the annual value of wheat from ~$15M during 1989-1993 to over $40M during 2009-2013 (Fig.3). In fact, the value of wheat in NY exceeded $50M in 2013, making its annual value similar to some high-value fresh market vegetables, such as onions and tomatoes. Furthermore, only estimating the value of the grain significantly under-estimates the value of wheat in NY because most growers also bale and market wheat straw. Fig. 3. 5-year averages of the annual value of dry bean, wheat, oat, and barley in NY over the last 25 years. Indeed, the value of straw has averaged over $150/ton in NY over the last 5 years, adding an additional $20M in value to the crop. 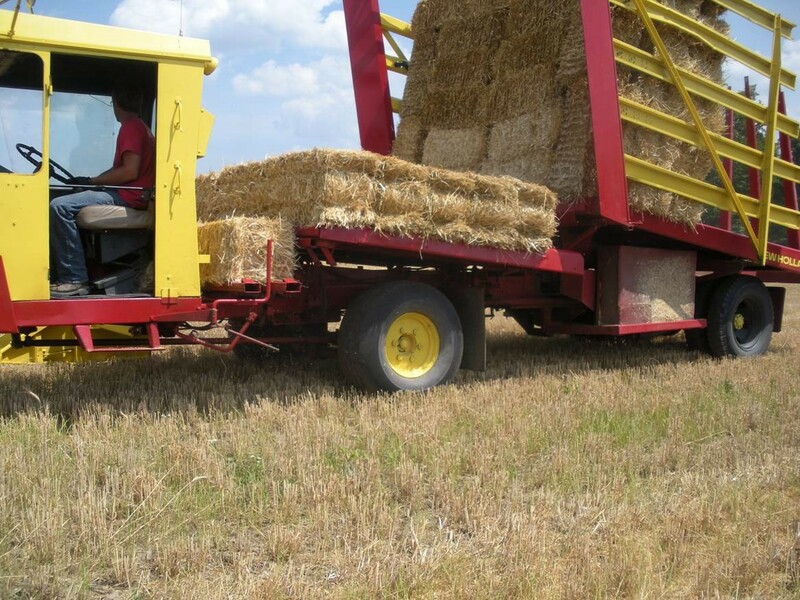 Consequently, another reason why wheat acreage has remained stable in NY, whereas acreage has decreased by 25% in the USA, is the demand of wheat straw by the dairy industry. Wheat is no longer the leading crop in NY as it was in the 1800s, but wheat continues to play an important role in the NY agricultural economy as a cash crop, a rotation crop, and supplier of coveted straw to the dairy industry.